The Accounting Club is the most popular accounting organization on campus. As a member of Accounting Club, you will be able to network with recruiters and professionals, gain insight into the accounting field and the business world, socialize with your classmates, give back to the community, and learn about very important internship opportunities. Platinum membership is earned by attending at least 7 professional events, 2 social and/ or philanthropy events. Benefits include discounted dues, special dinner (free food), eligibile for executive boad and committees, and resume included in resume book sent to recruiters. Gold membership is earned by attending at least 5 professional events and either 1 social or philanthropy event. Benefits include discounted dues, eligible for executive board and committees, and resume included in resume book sent to recruiters. Silver membership is earned by attending 4 events of any kind. Benefits include discounted dues. ActGreen at UIUC began in November of 2013 when three brilliant minds came together in the Business Instructional Facility (BIF) Atrium in Champaign, IL. Since then, we have become a Clinton Global Initiative University commitment and a registered student organization at UIUC. Our mission is to increase undergraduate business students' understanding of the connection between their business area of interest and environmental sustainability. We create educational programming and workshops to empower the next generation of global business leaders. To provide all University of Illinois students interested in marketing with the opportunity to develop themselves professionally, achieve personal growth, and foster relationships with a diverse group of business professionals and fellow students, while learning about marketing’s essential role in a dynamic business environment. The Ascend University of Illinois at Urbana-Champaign Chapter was established in 2008 in order to further Ascend's global mission at our campus. The UIUC Chapter is dedicated towards supporting the professional development of all Asians in business fields. By hosting career development presentations, managing a mentorship program, organizing philanthropic activities, and creating a program specifically to introduce our new members to Ascend's culture, the UIUC Chapter takes pride in all the opportunities we provide for our members to grow as rising business leaders. Welcome to AIS Illinois! We are committed to developing those interested in business and technology. Our mission to is to both educate students while growing interest and exposure to the industry. 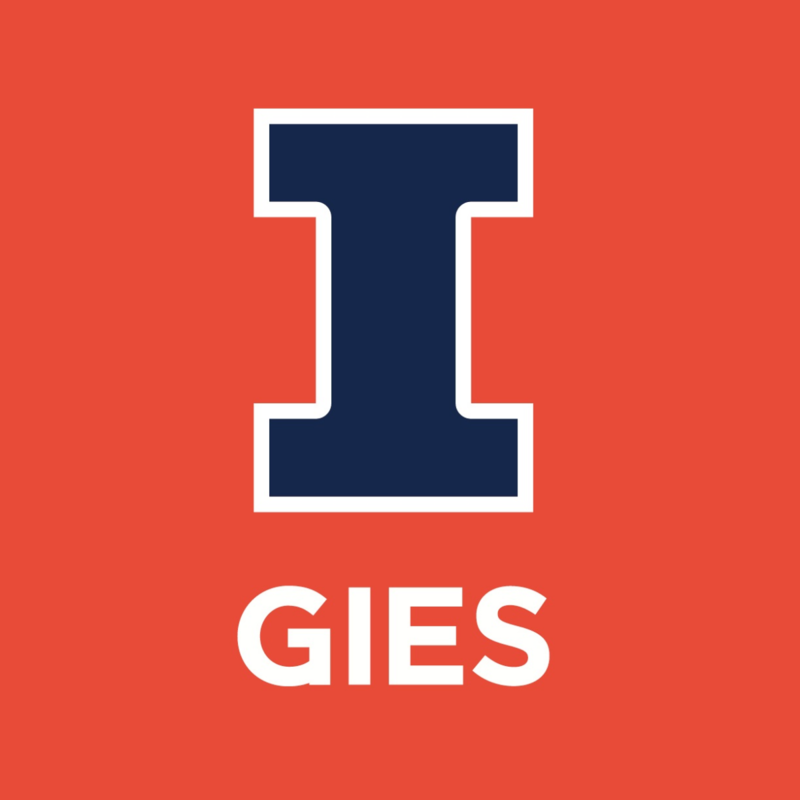 We serve not only the Gies College of Business but the University of Illinois at a whole. Explore our site to learn more about how AIS Illinois can be impactful for your college career and beyond. ALPFA is the largest Latina/o association for business professionals and students, with chapters nationwide consisting of over 23,000 members. ALPFA is dedicated to enhancing opportunities for Latinas/os and building leadership and career skills. ALPFA is a non-profit entity registered with the Internal Revenue Service. Membership is open to anyone who shares our values, vision, and mission. Business Career Services is your partner for career and recruitment success. Our experienced staff provides quality services and customized support for all College of Business students and employers. So whether you’re a freshman looking for help in finding the right major or a recruiter looking for the right graduate, you’ve come to the right place. We help you navigate the process and put you in good company, matching bright minds with exceptional enterprises. The Dean's Student Advisory Board (DSAB) is a board within the Gies College of Business that serves in an advisory role for the leadership of the College and leads projects focused on improving the student experience. Educate High School Juniors about a Business Education. The Emerging Business Leaders program at the Gies College of Business is a two-week summer program designed for high-achieving Black, African-American, Hispanic, Latina/o, and Native American students entering their senior year of high school. Participants live on campus and learn from world-renowned faculty, work on a capstone group project with other students, and connect with corporate executives to expand their knowledge on business-related careers. Entrepreneurs Without Borders (EWOB) at the University of Illinois Urbana-Champaign focuses on using entrepreneurship as a means to address problems in subsistence marketplaces as well as enabling entrepreneurship within these communities. These two core elements capture the goals of developing students for global challenges of the 21st century in serving impoverished communities. The student experience in EWOB is based on research and educational experiences in the academic domain. The organization is led by two Co-Presidents, two Co-Trip Directors, and two Co-Directors of Microenterprise Consulting with the help of faculty members in the University of Illinois Urbana-Champaign Gies College of Business. At FACES Consulting, we strive to provide unique insights, research-based analysis, and applicable solutions to businesses. We seek to prepare students with international backgrounds through tailored training and real-world engagements to become competent consultants for various industries. FACES Consulting is the first international student consulting organization in University of Illinois at Urbana-Champaign. FACES brings together the finest and the most creative minds with diverse backgrounds. FACES provides members with opportunities of practice in consulting projects in various industries, helping to develop critical thinking and problem-solving skills while providing actionable solutions to clients. Fusion's three-pillar approach to business professionalism centers on our motto of "Tap into Experience." Utilizing the experiences of current students, alumni, and faculty of the College of Business at the University of Illinois, Fusion endeavors to empower its members with the resources necessary to become leaders and achieve success in the business world. ​Fusion welcomes all students pursuing degrees in business related fields. To empower volunteers to develop sustainable solutions in under resourced communities while fostering local cultures. Apply at go.illinois.edu/ibc-apply to join Illinois Business Consulting. To foster a diverse student consulting community collectively focused on developing whole students, that think critically, build authentic relationships, and lead courageously to solve the world’s toughest problems. Illinois Sports Business Conference (ISBC) was started by a group of students who saw an opportunity to fill the gap of knowledge and resources between the sports industry and the business world. The ISBC team works together throughout the year to put on an annual conference hosting elite leaders and professionals in the sports industry. Through various workshops, networking events, and an annual conference, ISBC fosters relationships and creates a roadmap for students to find their path in the sports business. Circles are a place where both men and women can be unapologetically ambitious. Where we can give voice to our dreams and find the encouragement to start chasing them. They’re a place for sharing ideas, gaining skills, seeking advice, and showing solidarity. Most of all, they’re a place where we help each other become our very best selves. Whatever your goal—whether you’re working toward succeeding in a class or in the workforce, or building your confidence —your Circle will help you get there. Our mission is to be a leader in educating the next generation of managers in better understanding financial research and risk management tools, and to provide a cutting-edge learning environment where students from the University of Illinois will be known for being best equipped to enter the vast world of finance. Joining this group requires a illinois.edu email address. A campus family like no other! THE PURPOSE OF THE UNIVERSITY OF ILLINOIS NATIONAL RETAIL FEDERATION IS TO BRING TOGETHER LIKE-MINDED STUDENTS INTERESTED IN THE RETAIL INDUSTRY, EDUCATE THEM ON ALL ASPECTS OF THE INDUSTRY, AND CREATE NETWORKING OPPORTUNITIES AMONG ONE ANOTHER AND WITH RETAIL COMPANIES FOR FUTURE OPPORTUNITIES WITHIN THE INDUSTRY. THIS ORGANIZATION WILL ENABLE ITS MEMBERS TO NOT ONLY EXPLORE AREAS OF INTEREST WITHIN THE RETAIL INDUSTRY, BUT IT WILL ALSO EQUIP ITS MEMBERS WITH LEADERSHIP AND PERSONAL DEVELOPMENT OPPORTUNITIES. OTCR is comprised of 50 top students, primarily from the Colleges of Engineering and Business, and has advised clients ranging in size from small businesses to Fortune 50 corporationns in a variety of industries and practices for over 15 years. Phi Beta Lambda is the collegiate division of the largest career student organization in the world. Our goal is to develop business leadership in all our members giving them a competitive edge in the job market while strengthening their sense of confidence and work ethic. Through education, collaboration, and service we forge innovation and promote success in our community. Our chapter revolves around three pillars of experience: professional, philanthropy, and community. Phi Chi Theta is a national co-educational Professional Business Fraternity that was founded in 1924 in Chicago, Illinois. There are 37 collegiate and alumni chapters nationally and more than 20,000 members across the country. Phi Chi Theta provides members with the opportunity to practice leadership skills, network with alumni, interact with numerous respected corporate sponsors and, most importantly, Phi Chi Theta is a family where members build friendships that will last far beyond time at college. Phi Gamma Nu was originally founded on February 17, 1924 at Northwestern University in Chicago, Illinois. Under the leadership of Sylvia Arnold, six devoted women initiated what was to become one of the premier business fraternities in the United States. Since then, Phi Gamma Nu has grown to become a national, influential, and dedicated organization, devoted to professionalism, service, and brotherhood. We excel at encouraging entrepreneurship, by empowering people to harness their passions and our strength comes from our commitment to diversity, which is not just a feel-good notion, but critical to success in the world of business. Most importantly, we are a FAMILY that celebrates the individual. Prime provides a comprehensive introduction to mergers and acquisitions by simulating a deal throughout the course of a semester, augmented by strong curriculum and guest speakers from industry. In weekly meetings, we cover topics ranging from corporate finance, valuation and deal structuring, to market evaluation, firm strategy, and post-merger integration. Guest speakers connect these lessons to real life scenarios and provide additional insight - we've had professionals from PwC, William Blair, J.P. Morgan, Citi, Robert W. Baird, Houlihan Lokey, BMO Capital Markets, and Molex speak thus far. While the educational opportunity is reason enough to pursue Prime, another benefit is the fact that the program serves as a pipeline into the Golder Academies and premier organizations on campus. Last semester, 100% of Prime participants who applied to the Investment Banking Academy were accepted - and we also have a significant presence in other organizations. We work closely with the Directors of IMA, IBA, the Finance Academy, IBC, and OTCR to tweak our curriculum so it effectively prepares candidates for roles in those organizations. We are no longer accepting applications for Fall 2018. Please check back in with us for Spring 2019. Named in honor of private equity industry pioneer Stanley C. Golder, a graduate of the College of Business at the University of Illinois at Urbana-Champaign, the Golder Academies seek to prepare students for exciting careers in the fields of investment banking, investment management, venture capital, private equity, and a variety of opportunities in corporate finance. Students Consulting for Nonprofit Organizations (SCNO) is a registered student organization at the University of Illinois at Urbana-Champaign that was founded by a group of students in 2010. Since our establishment we've served over 60 nonprofit organizations and 300 student members. Each semester, we apply our critical thinking skills and what we are learning in the classroom to deliver solutions to nonprofit organizations in the Champaign-Urbana community and around the world. SCNO is open to UIUC students of all majors and ages and provides its members with real-world consulting experience, leadership development, and the opportunity to serve others. Our leadership team is passionate about preserving the values upon which the organization was founded while continually striving to improve the quality of our projects and our member experience. At ILLINOIS, we want you to enjoy diverse cultural opportunities. That’s why we give you the chance to study in cities across the globe. In fact, we offer over 400 study abroad programs. It’s the educational experience of a lifetime. The Gies College of Business is home to 17 semester-long exchange programs with top business schools around the world. If you’re unable to study abroad for a whole semester, that’s okay—the Study Abroad Office also offers 12–15 short programs. Studying abroad through the Gies College of Business, with its drastically reduced tuition, can be cheaper than a semester at the University of Illinois. The Tax Club at the University of Illinois at Urbana-Champaign was founded in Spring 2015 in association with TaxTalent, Inc. TaxTalent seeks to provide relevant information and offer career resources to assist current and future tax professionals. TaxTalent assists the Tax Club in securing speakers for our meetings from professionals who are members of the Tax Executives Institute. The Tax Club has the unique advantage of using resources from TaxTalent; a free membership is offered to students through TaxTalent’s website. Membership in the Tax Club is open to all students at the University of Illinois at Urbana-Champaign. The Hoeft Technology & Management (T&M) Program at the University of Illinois bridges the gap between traditional engineering and business education by offering a unique curriculum to a select group of highly qualified business and engineering undergraduates. The T&M Program is a joint venture between the College of Engineering and Gies College of Business and works closely with its corporate affiliate partners to build tomorrow’s leaders of the innovation economy. The T&M Program recognizes that companies need engineers who understand market forces and the financial implications of technology investment and business professionals who understand technology drivers and the product development implications of market strategies. The T&M Program prepares business and engineering graduates to function effectively in technical, interdisciplinary, and team-based industry environments. The 22-credit-hour curriculum is augmented with real-world experiences outside the classroom, including a comprehensive set of extracurricular activities that focus on leadership development, technical and business skill development, career development, and international experiences. The program accepts approximately 60-65 business and engineering majors each year from a pool of over 2,000 eligible students and approximately 225 applicants. Undergraduates students apply to The Hoeft Technology & Management Program over winter break of their second year if planning to graduate in four years. If planning to graduate in three years, students may apply their first year. Details about the application process are on the program's website.